I was in Italy when I first marvelled at the sight of a cut blood orange. Tasting the intensely flavoured fruit simply reinforced my infatuation. It was April 1997. I returned from that trip to find blood oranges had made their debut at home. Each year since, the first appearance of locally grown blood oranges in our markets has been a winter highlight. Only the price deters me from buying them in bulk. Instead I treat myself each week to a single blood orange just for the taste. I exploit their deep jewel like colour shamelessly. 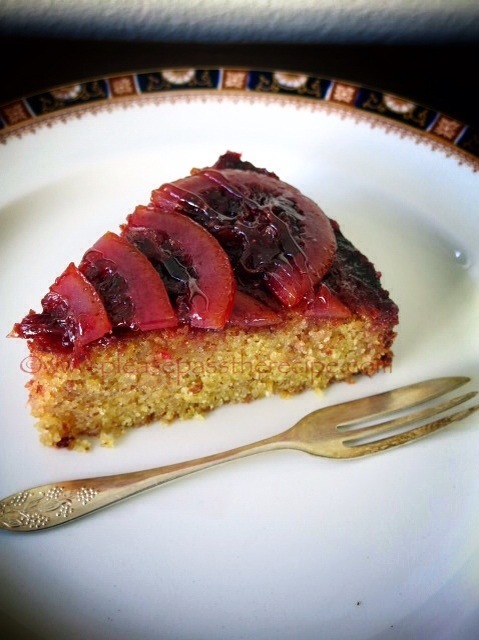 Nigella Lawson’s lemon polenta cake recipe is the basis of this post, simply swapping the lemon for blood orange, then adding candied fruit for embellishment. This is a seriously good cake. It’s moist and delicious and firmly textured so it easily cuts into thin slices without crumbling. The cake improves if left for 24 hours before cutting, allowing ample time for the syrup to penetrate, and the polenta to soften. I’ve baked this cake with lemon, I’ve baked this cake with oranges, next I’ll try it with lime. Preheat the oven to 180C. Grease a 20cm springform pan and line it with baking paper. Cream the butter, sugar and finely grated orange zest. Combine the polenta, almond meal and baking powder, then stir it into the butter/egg mixture. Spoon the mixture into the prepared cake tin, smooth the top, then bake until done when tested with a skewer, about 40 minutes. Leave the cake in the tin, stand the tin on a try. Pierce the hot cake all over with a fine skewer then pour the syrup over. Leave the cake to stand for 24 hours. It will slowly absorb the syrup. Gently release the cake tin clip and remove the cake to a serving plate. 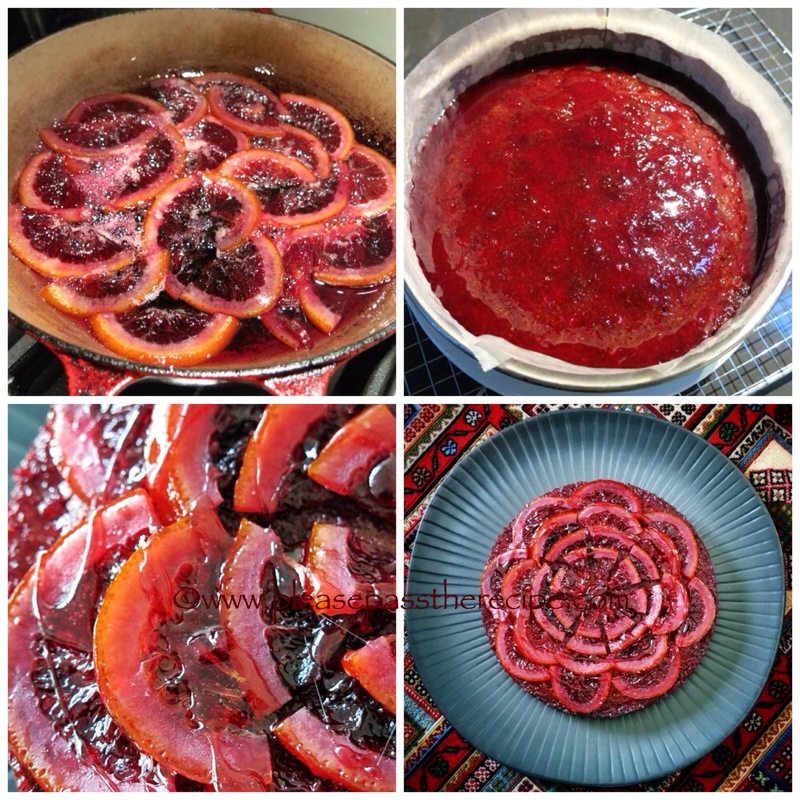 Decorate the cake with candied blood orange slices, then melt the residual syrup and spoon over the oranges to glaze. Combine the icing sugar, orange and lemon juices together in a small pot. Stir constantly over a gentle heat until the sugar has dissolved. Cut a slice from the top and bottom of the orange deep enough to reveal the flesh. Cut the orange in half vertically, then cut each half into thin slices. In a wide shallow pan, bring the water and sugar to the boil, stirring until the sugar has completely dissolved. Add the orange slices. Cook on a high simmer until the oranges have become translucent and the syrup has almost completely evaporated. Remove the orange slices to a tray lined with baking paper to dry. Reserve the residual syrup as a glaze. what a stunner of a cake! So pretty and I love blood orange. Thank you, it’s an excellent recipe..
I’ve been away far too long, I even missed your new Gravatar. LOVE seeing your profile pic! And the recipe: wow! love blood orange and the sight of this cake gives me the swoons. YUM! Thanks Azita, I thought it was time to come out, so to speak. It’s a fantastic recipe, give it a try, I’m sure you could Persianize it..
what an interesting cake – the flavors and textures combined must make a really delicious treat! It good to see you Lidia, I hope life is treating you kindly…. Is sounds so good, but you made it look extra lovely!!! Very interesting recipe, lovely presented!! Thank you for sharing! wooooow, the look of that cake! I also noticed your coming out, Sandra.Its a happy, friendly looking mug shot. Something I might do one day if someone ever manages to capture a half decent pic of moi. Love that cake, shall be my next one to make. I am growing blood oranges. They are ready now, but small. Lucky you having blood oranges at you fingertips Francesca. The cake is excellent, we enjoyed it down to the last crumb. We took a humungous number of photos to get a new avatar I was happy with! This looks amazing and I’m sure it’s as delicious as it looks! I’m putting this on my ‘to bake’ list. I know that it will be a success! Oh, this cake looks amazing – sadly my blood orange tree died last year. Wow! I have to try this recipe out very soon. Thank you for sharing. Emma. Always a pleasure share Emma..
Love your beautifully simple cake…it glistens like a jewel. You’ve come out from behind those specs, nice. That polenta cake looks pretty good too. Super beautiful, like an Art Deco rose. I too adore blood oranges. The flavour, the colour, everything. A great sounding GF cake that I will be trying shortly. 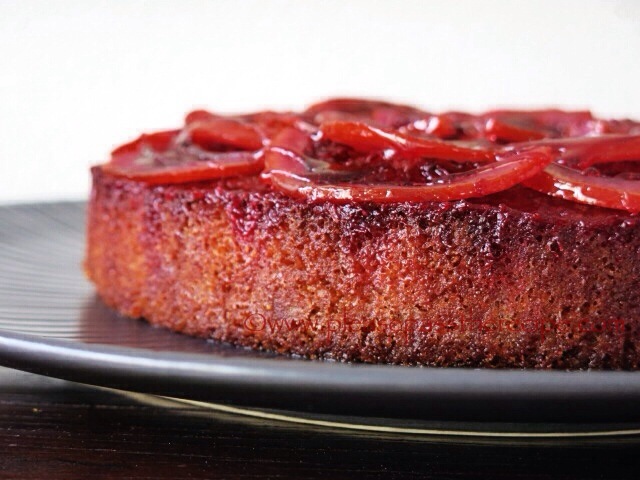 I have tried polenta cakes in the past but didn’t love but this recipe sounds and looks great. I think you’ll like this cake Cheery. We thoroughly enjoyed every mouthful!!! This entry was posted on August 28, 2014 by ladyredspecs in Baking, Cakes, Desserts, Food, Fruit Desserts, Gluten Free, Gluten free baking and tagged almonds, blood oranges, cake, gluten free, polenta.